Classical Greek civilization's greatest gift to the world was its philosophy. The great philosophers of ancient Greece formulated the great ideas that have guided Western civilization. For the ancient Greeks, philosophy was a practical tool that could be used to guide one's course through life. By discerning truth from error and illusion, philosophy helped them make wiser, sounder decisions. Socrates would constantly question people in the forums and marketplaces of Athens. Coming from a position of assumed ignorance, he would use philosophy and common sense to expose the errors in their thinking and approach to life's problems. 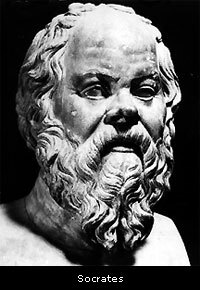 A humble, unassuming man, Socrates' motto was, "The only thing I know is that I know nothing." Pythagoras used philosophy and metaphysics to figure out difficult mathematical and scientific problems. He gathered a band of followers around him who resolved to remake society and its values on a solid, philosophical foundation. Pythagoras also used numbers and musical notes and intervals to elucidate universal truths. Plato saw in philosophy a healing balm for the soul. The human race is sick, he said, and needs philosophy as medicine. Concerned with the spiritual welfare of the soul, Plato's philosophy became the basis for much Christian doctrine. Epicurus once said, "Worthless is the argument that does not alleviate suffering." The philosophy he founded, called Epicureanism, was devoted to the alleviation of human pain and suffering and the maximization of pleasure and fulfillment. The empirical philosophy of Aristotle became the basis for the modern scientific method. Modern science has been very successful at solving the practical, material problems of existence. Marcus Aurelius, one of the wisest and most capable of the Roman emperors, was also a Stoic philosopher. He fully embodied Plato's political ideal of the philosopher - king. The revival of humanist values in the Renaissance wouldn't have been possible without a rediscovery of classical philosophy. A remarkable bestseller entitled The Consolation of Philosophy was written by Boethius while he was a prisoner on death row. Facing the imminent end of his earthly existence, Boethius found eternal solace in the transcendent truths of philosophy. And so, philosophical counseling actually has a long and distinguished history. In ancient and premodern times, people saw the practical value of philosophy as a guide for living. But in modern times, philosophy has become an increasingly theoretical, intellectual pursuit, far removed from the practical affairs of life. Philosophy was locked up in the ivory towers of academia. But then, in the early 1980's, German philosopher Gerd Achenbach decided to revive the old and time-honored practice and offered his services as a philosophical counselor for those seeking to solve their problems philosophically. In 1982, Achenbach founded the Society for Philosophical Praxis to establish philosophical counseling as a profession. Praxis is a Greek word meaning the practical application of a branch of learning - in this case philosophy - to solve life's problems. In classical Greek astrology and counseling, Praxis also refers to one's career, life path, or calling. Helping clients find their career or life path is a specialty of philosophical counseling. "Philosophical counseling is a type of counseling that uses philosophical insights and methods to help people think through significant issues in their life." He goes on to say that it can be very helpful for finding your vocation, making a difficult decision, career dilemmas, relationship issues, and being clear about what you want from life. In recent years, philosophy professor and counselor Lou Marinoff, PhD came out with the bestseller Plato, Not Prozac! This book greatly popularized philosophical counseling with the masses, although some purists take issue with the integrity of his presentation. As the title implies, Marinoff takes issue with the over-medicalization and over-medication prevalent in conventional psychotherapy. The stigma of sickness is placed on those going through personal problems, many of which are actually rooted in philosophical dilemmas underlying one's basic approach to life and its problems. Medications just suppress the symptoms, without getting to the core issues, which are often philosophical. Marinoff offers philosophical counseling as a natural, drugless alternative to conventional psychotherapy. Because both psychotherapy and philosophical counseling offer help in solving life's problems, there's a high degree of overlap between the two professions. Many psychotherapists use philosphical methods to help their clients see their problems in a whole new light. Nor do philosophical counselors see their services as a cure-all for all life's problems, for all people. Those who are having severe problems with basic mood management, eating or sleeping properly and discharging their daily duties may actually need medication and psychotherapy. And so, Marinoff calls philosophical counseling "therapy for the sane". Philosophical counseling is based on a sincere, open communication, or dialogue, between counselor and client. 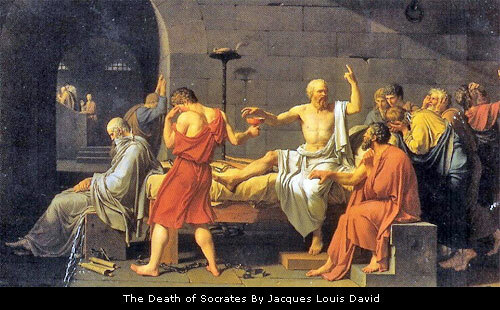 It uses the Socratic Method, in which the counselor asks questions designed to uncover discrepancies and errors in the client's thinking, and to bring out the core philosophical issues behind the problems the client is facing. This questioning should be done in an open, non-judgemental manner. The counselor should not pretend to have all the answers; giving the answers is not his job, but asking the right questions is. If the questions are effective, they will help the client think through and define more clearly exactly where he stands on the core philosophical issues underlying the problem. The right questions are gateways to self discovery; they can also help uncover what the client may be hiding from himself. So much needless stress arises from muddled or inconsistent thinking on exactly where we stand on the core questions of life. The philosophical counselor helps us define our core ethics, beliefs, principles and values. As Shakespeare wrote in Hamlet, if we can only be true to ourselves, we can then be false to no man. Not only that, but our path through life becomes simpler and straighter. 3) A search for explanations in which the practitioner becomes united with the client's problem, NOT by imposing his own explanations on the client, but by giving the client a fresh impulse to explain him/her-self and disposition better. 4) An element of WONDER that doesn't allow for fixed viewpoints, standard attitudes, or permanent solutions. P: Problem identification. Isolating and defining the core problem clearly. E: Expressing emotions and feelings that are aroused or aggravated by the problem. A: Analyzing one's various possibilities and options for solving the problem. The counselor can bring to light hidden options that the client may have been blind to or unaware of, or introduce a certain philosophical perspective to get the client to see his/her problem in a whole new light. C: Contemplation of the problem and all its ramifications from a detached, philosophical perspective. From the total array of possible options for solving the problem, the client chooses the option that best fits his innate philosophical disposition. E: Equilibrium, or returning to a state of inner balance and harmony, which can only come from a true, honest and sincere philosophical resolution of the problem. As a resource person, the counselor must be a well-read and well-rounded philosopher who can effectively present to the client various philosophical perspectives that may be useful or indicated for solving a particular problem. And if the client would really benefit from a deep, thorough understanding of a particular philosophy and the perspective it provides, the counselor will recommend what Marinoff calls bibliotherapy - the reading of books and articles extolling that philosophy. Which philosophies are useful in philosophical counseling? Basically, all of them, where indicated and appropriate. The vast panoply of different philosophies is the philosophical counselor's Materia Medica, with each one having its particular remedial applications. What qualifies as a philosophy in philosophical counseling? Any religion, path, worldview, science or system of inquiry that offers a valid perspective for evaluating life's choices and options, ethics and values. Philosophical counseling has always tried to remain free, open, and unrestrained by any rigid dogma or orthodoxy. The very universality of its approach makes it a viable adjunct to many other forms of counseling and psychotherapy. Jungian and other spiritual, humanistic forms of psychotherapy are naturals. The perennially close relationship between philosophy and religion makes it a natural for pastoral counseling and faith-based therapy. Philosophical counseling fits in very well with alternative counseling modalities like modern humanistic psychologically based forms of astrology. Modern science has explained the material universe in minute detail, but has left the world of mind and spirit in a very uncertain state of affairs. Are life and consciousness merely the epiphenomena of matter, as the scientific reductionists claim? Are life and existence merely the chance effects of random forces and chemical reactions operating along the path of least resistance, or is there an underlying purpose to our existence? Exactly what does it mean to be human? Modern technology, or applied science, has raised profound and troubling ethical questions. Obviously, not everything that can be done with modern technology should be done. But where do we draw the line? How do we distinguish between the constructive, ethical use of technology and the destructive, unethical use of it? Are human beings wise enough to play God? There are no easy answers. Capitalism, the market economy, and the socioeconomic Darwinism it spawns are coming under increasing scrutiny. Modern man has yet to find a satisfactory balance or working relationship between profit and growth on the one hand and justice, ecology and sustainability on the other. Are everything and everyone on earth merely vehicles to be exploited for profit, or are some things non-negotiable? Is it simply every man (or corporation) out for himself, or are we our brother's keeper? Terrorism and the attacks of 9-11 have created widespread fear and paranoia in our society. How do we rise above it and find new strength for living? How do we maintain our vigilance without surrendering our civil liberties? Behind terrorism is a clash of cultures and civilizations, of values and belief systems. Are these different ways of life irreconcilable and destined to seek the other's destruction, or does some common ground exist for resolution, regeneration and rebirth? Fundamentalism, or rigid, dogmatic interpretations of traditional religions, is on the rise, not just in Islam, but in Christianity, Judaism, Hinduism and other world religions as well. This trend is a desperate reaction against the moral, ethical and philosophical void and chaos generated by the prevailing trends and an overly permissive "anything goes" atmosphere. Can inner peace and certainty be regained only by a return to the rigid rules of fundamentalist faiths and the bigotry, exclusivism and xenophobia they generate? Or, has humanity evolved to the point where it can accept something more inclusive, tolerant and universal? It's easy to point the finger at the other guy's fundamentalism and intolerance as the cause for all the world's problems, but what about our own - our own cherished beliefs and assumptions? Aren't both really just two sides of the same coin? One's constitutional nature and temperament, especially in its mental aspect, profoundly affects one's basic thinking and approach to life and one's relationship with the world. These become the building blocks for one's personal philosophy of life. The astute, wise philosophical counselor will always have a keen eye for his client's basic nature and temperament. This will tell him a lot about which direction(s) to steer his client in. Each of the Four Temperaments has its own inherent disposition, or set of dispositions, on each of life's central issues and concerns. And each of us has, in our own personal nature and temperament, our own unique blend of the Four Temperaments, in varying proportions. This produces our own personal philosophical perspectives on each of life's major problems and concerns. This is what makes life so fascinating and complex, and a continuous journey of self discovery. In the philosophical questions and problems we encounter in life, we find reflections of our own inner nature. Every philosophy, as a therapeutic agent, has its own inherent nature and temperament, which gives it a certain affinity with one or more of the Four Temperaments. It also gives the philosophy a certain remedial value in rounding out the personality and offsetting the shortcomings of a certain dominant or aggravated temperament. Fiery Cholerics are naturally attracted to bold, radical ideas and innovative thinking. Natural leaders and pioneers, they cherish freedom, self-expression, inspiration and rugged individualism. Cholerics can be quite willful and egotistical, and ruthless in asserting themselves and getting their needs met. Ayn Rand's virtue of selfishness appeals to them, as do Darwinistic philosophies emphasizing survival of the fittest. Cholerics thrive on struggle and challenge, and will die in spirit if life becomes too boring and predictable. Although they may have to make some concessions to conformity and routine for practical reasons, they will never totally give in to it, as they need some adventure to live for. Cholerics are gifted with a brilliant intellect, and keen, penetrating insight that can get to the heart of any problem. True scientists and empiricists in every sense of the word, they are perennial students of life, and seek to uncover its secrets. Prone to radicalism, exptremism and fanaticism, bold, uncompromising Cholerics can be critical of halfway measures, and often see compromise as a sign of weakness. The development of human potential, the transformation of man into superman, the overcoming of fears and limitations, as well as right wing militarism and fascism all appeal to the Choleric nature. Cholerics are very demanding, and can be intolerant and hypercritical of others, and even of themselves. They need to overcome excessive perfectionism, all-or-nothing thinking, and learn how to forgive both self and others. The shortcomings of the Choleric nature are best remedied by religions and philosophies that teach the Phlegmatic virtues of patience, tolerance, faith, forgiveness and compassion. While true religious devotion and surrender to a Higher Power may be beyond the Choleric ability, collaboration with such a power they can accept. Exuberant joy and zest for life are the keynotes of the Sanguine disposition, so Epicureanism, which aims to maximize pleasure, happiness and fulfillment and minimize pain and suffering, is their basic perspective on life. The sociable, outgoing, gregarious Sanguine nature attracts them to religions and philosophies that have a strong social ethic. Religious movements or spiritual groups may be joined more for the fellowship than for any fervent belief in the cause. Sanguines believe that no man is an island, that sharing life's experiences increases joy and diminishes pain and suffering. Consideration for and cooperation with others are the keynotes of their personal philosophy. Together we can move mountains. Sanguine consideration and cooperation stand in stark contrast to Choleric competition and conquest. Respect also resonates very deeply with Sanguines. Love and respect your neighbor as you do yourself; see the divinity in others. Refinement and appropriateness are two other key Sanguine themes. Be flexible and adaptable to the situation and respond appropriately. The downside of this is a tendency towards conformism, but its up-side is always being gracious, courteous and in good taste. Sanguines are inclined towards situational ethics. Sanguines have a lively curiosity for life's experiences, and a synthetic intellect that looks for patterns and relationships in things. Value is placed on being well-versed and experienced, a connoisseur wise in the ways of the world. Philosophies emphasizing harmony with the universal order appeal to them. Sanguines are philosophically challenged when they must break with the crowd, or be ostracized and unpopular to do the right thing. Desperate fights for survival in which they must endure the difficult, unpleasant or unseemly are also hard for them. Stoicism tempers the basic hedonism of the Sanguine nature, and offers consolation for Sanguines going through tough times. The basic Melancholic virtues are practicality, pragmatism, seriousness, reliability, simplicity, genuineness and integrity. Stoic philosophy embodies these Earthy virtues, and counsels maintaining inner virtue and integrity, equanimity, constancy, and perseverance regardless of one's outer circumstances, be they good or bad. To temper and moderate their excessive seriousness, Melancholics are counseled to indulge in a little Epicureanism from time to time. They're encouraged to cultivate an appreciation of simple sensual pleasures, be it fine cuisine, fine wine, art, sculpture, or whatever. They need to realize that the excessive austerity they're prone to denies them the opportunity to live life more fully; excessive work makes them too dull as people. Melancholics can also get too lonely and withdrawn. When this happens, they need to learn basic social skills and virtues from socially oriented religions and philosophies that encourage them to reach out to others. Melancholics have a strong work ethic, but overdoing it can get them depressed and put them in a rut. Even Melancholics, with a high tolerance for work and routine, need a little Choleric challenge and adventure from time to time to avoid total stagnation and rigor mortis. Melancholics, being of the Earth element, need a lot of structure and stability in their lives. This, plus the rigidity and literalism of their thinking, tends to attract them to dogmatic, fundamentalist religions and philosophies. Their ethics tend to be absolute, and they need the law laid down for them, and the lines between right and wrong to be clearly drawn. They can be fanatics or extremists, but whereas Cholerics tend to be leaders, they're more inclined to be followers and organizers. Because Melancholics can get too rigid and inflexible, they really need to have their blinders removed, and their full range of options pointed out to them. They have a strong analytical intellect and a great memory for facts and details, but it can get too rigid, mechanical, or uninspired. Melancholics often have an insidious tendency to rationalize away their feelings; to remedy this, they should write poetry, or take up some other form of artistic self expression, like music, sculpture or art. They should not allow failures in love, or any other affair of the heart, to close and harden their hearts and make them cynical and misanthropic. Phlegmatics are emotional, sentimental and subjective by nature, and have plenty of faith, compassion, patience and devotion. They live from their hearts, and have an unshakeable good nature. This attracts Phlegmatics to romanticism and mystical, devotional forms of religion. Because of their tender, big hearts and warm compassion, Phlegmatics swell the ranks of humanitarian and charitable relief organizations. The critical philosophical weakness of the Phlegmatic temperament is that they can easily get lost in their own sentimentalism and subjectivity. Phlegmatics are philosophically challenged when the situation demands that they be objective, stop and take an empirical reality check, and distinguish objective reality from the subjective creations of their own mind and feelings. They would benefit greatly from a little scientific, rational thinking to clear away their mental cobwebs. Phlegmatics are also often challenged when the time comes for bold, decisive action. Not only physically but mentally, Phlegmatics tend to be sluggish and passive, to go along with the flow and let others do their thinking for them. And so, a little injection of Choleric rugged individualism and critical thinking would benefit them greatly. Phlegmatics also have a hard time in "tough love" situations in which they must be cruel to be kind. There are times when life demands that you distinguish your own enlightened self interest from those of others and put into practice a little of Ayn Rand's virtue of selfishness. The Phlegmatic nature is most prone to vague, confused, muddled thinking when it comes to defining one's personal ethics, values and beliefs. Clarity on these things makes for ease, efficiency and decisiveness in decisionmaking, and a prompt and timely response to life; vagueness often leads to drifting, irresolution and procrastination. Phlegmatics are master alchemists of the heart and its feelings, and understand life with a simple, emotional logic and gut level intuition that doesn't need any complex or erudite reasonings to figure things out and act accordingly. Such are the virtues of the Phlegmatic nature when it is healthy, harmonious and functioning properly. Phlegmatics are also the masters of good, old-fashioned family values, for they invented them. Have a heart, and don't fight your feelings, are their mottos. 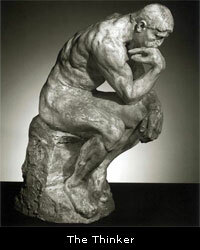 There are many excellent sites and articles on the internet when it comes to philosophical counseling. Many of these are the sites of professional philosophical counseling organizations that offer guidance and training seminars for those interested in becoming philosophical counselors. Many of these sites I consulted in the preparation of this article. www.philosophicalcounselingindia.org Based in Jaipur, India. An excellent and informative introduction to philosophical counseling, incorporating an Eastern yogic approach. "At the center of your being you have the answer; you know who you are, and you know what you want."